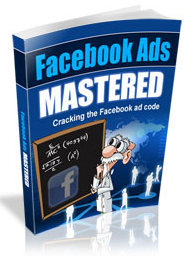 Create stunning looking, attention grabbing deals in just minutes, without coding skills or complex integration. Everything you need is built into the software to keep things simple! In addition to regular deal pages,you can also embed deals via iframe into WondPress blogs or use the narrow page URL with Facebook. Plus built in mobile client detection display. Add a product shot/deal image to your page or embed video to boost conversion, using services such as YouTube,Video or Viddler etc. Includes feature to auto play YouTube videos. Powerful feature lets you trade or sell any deal you make to any other user(s). Great solution for MRR/FiR licensing and comes with option to lock delivery pages to any URL you choose. Run unlimited deals all from a single install of the software. And because EDB is web based you can access your dashboard to create new deals from anywhere with internet access. 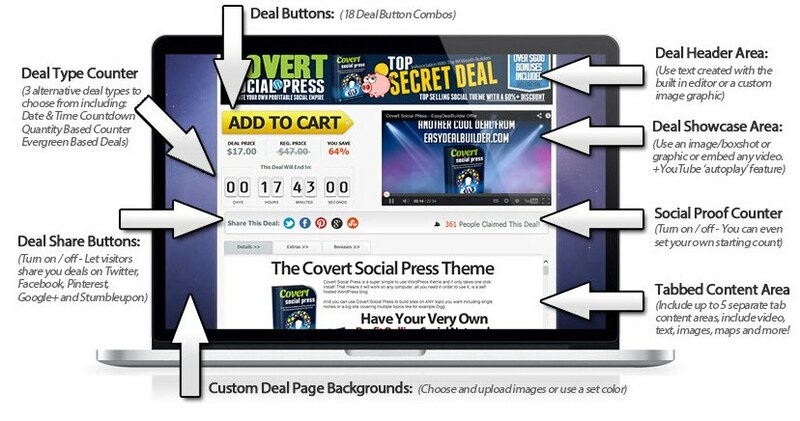 Let your visitors share deal pages via Twitter, Facebook, Pinterest, Google & StumbleUpon. A super-easy way to grab FREE TRAFFIC and send your deals viral across the web. Boost your deal page’s search engine visibility with optimized Title tags, Description tags and your chosen keywords Plus add Google Analytics code to each deal for detailed stats. Every live deal you run is automatically added to your own customizable deal directory. This features a 3×3 grid of deals and can be sorted via options tab to show by date or best sellers. Use any payment provider that allows a pay link URL – Includes: PayPaL1V7_oo,2Checkart ClickBank Zaxaa, DigiResults and most top level merchant service/payment providers. Use this proven, profit boosting tool to send exit traffic to other deals, opt-in pages or your main site(s). No extra software or scripts are required, just set a link and it’s ready to go! From the admin dashboard you can instantly check visitor views, sales and deal conversion rates for all your deals. Plus a quick overview showing how much each deal has made. Highly flexible system lets you price your deals in US Dollars, British Pounds, Euros, Canada, Australian Dollars or Japanese Yen (Each deal can be in it’s Own currency too). (Optional) Start any’cold’deal with a flourish of (ahem)faked’social buying activity with option to set and display any initial number of buyers who have already claimed the deal. (Optional) Don’t want a quantity based deal to end while your sleeping? No problem, you can now set a ‘freeze number’ on the balance of ‘deals left’s° it won’t end till you want it to. Add your own custom code snippets to any deal page, (pop ups or overlays for example), and also to Thank-You pages Plus+ add any custom FM& to the footer area of each deal.